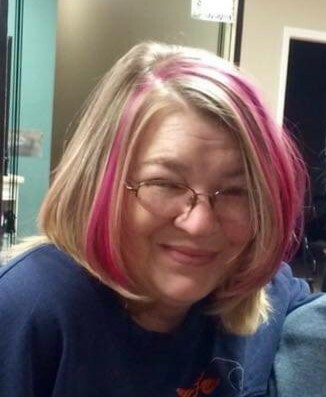 Cathy Rae (Lincoln) Williams, age 50 of Crawfordsville passed away peacefully on Sunday, March 24, 2019 at home while surrounded by her loving family. She was born in Johnstown, PA on February 2, 1969 to Duane & Elaine (Zaman) Lincoln. Cathy graduated from Portage High School in PA and received her bachelor’s degree in early education from Indiana University of PA. She married the love of her life, Joe Williams, on July 6, 1998 in Charleston, West Virginia. Throughout the years she was a Daycare Teacher at several schools, Director of Kidco, and most recently in Administrative Operations at Steel Tech in Crawfordsville. She was a member of the NRA and the Seven Nations Fan Club and was a dedicated Christian, loving mother, and one hell of a wife. She enjoyed range shooting, fishing, hunting, making jewelry and beading, playing Euchre, and most of all spending time with her family and friends. She is survived by her husband, Joe Williams; a son, Sean Williams, a United State Marine; both of Crawfordsville; her parents, Duane & Elaine Lincoln of PA; a sister, Tricia (Tom) Barningham of PA; her father & mother in-law, Bill & Agnes Surber of West Virginia; her best friends, Valerie Walden and Stephanie Mefford; and the whole Haderle Family. She was preceded in death by a sister, Diane Shepley and an infant newborn.